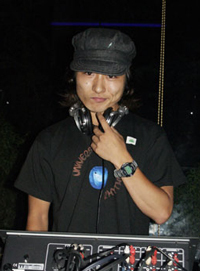 Influenced by dance music,Ehito Ohnuma started Djing since the early 80's.Broadening his music from soul,jazz,house,to black music,he has started to cross borders from Tokyo to Korea,and to Thailand.He can be heard spinning at Aoyama Fai playing soul,jazz,and house,or tune into Sky PerfecTV!Star digio ch.470,to hear his choice of breakbeats/jazz mixes,He has played his first DJ set for Aurora Substorm at the Cyber-Existence party held in Oct.2002 with a choice of Drum'n Bass sounds. Being influenced by Punkrock, Masato lead his high school years in England. Returning to Japan, he meets different styles of music, and took interest in the 60's Idols, GS sounds, yet he does not stick to one genre, but keeps Rock in his mind while he spins all types of genres of music. Keeping his job in the radio industry, he also works as a PA for live shows. With the spirit of a native Indians, Shimon uses shamisen, percussion, indian flute, toys and garbage as instruments to transmit through him messages from nature. He inspires us a moment to think over what we can do for Mother Earth at this very moment. For all souls his voice speaks to you with encouraging and trusting love. 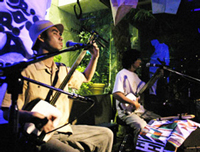 Originally the members of ORIGINAL UNITED, Etznab is a unit formed by Shimon Kato and Kenta Kurumatani. The two who has been engaged in playing the shamisen has blended their views to bring forth the sound that floats amidst the wind that blows beyond time ; this by listening deep into their soul . The sound that goes beyond that of the traditional shamisen becomes [word before it becomes word] and invites you into a journey to a profound world. They let the unique shamisen vibration run the ground of Japan, the sword of sound penetrating into the hearts of those that listen. 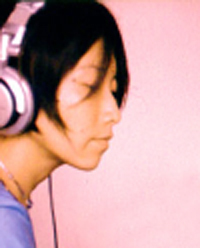 Learning classic piano and the flute as a child, Shiori awakens to music at an early age。After her encounter with trance music, she begins performing live with various jam bands and DJ`s,at spiritual ceremonies, as well as playing for her own band.For the past few years, she has been active as a Dj , and also as a composer for a trance unit YAMATO with DJ Makio. など、これまで数々のスペシャルなパーティーに参加。これからもさまざまな場所で、みなさんと繋がって行きたい!!! See Oneﾕs Fortune! BIG LOVE! Yamato has joined their powers with Shinraku, Kagamibiraki, Hakkaku,Daimon（Geshi-matsuri）Dip Aura, Dasemaze, Seek After Truth, M.S.O. 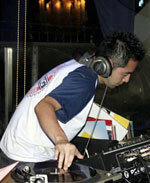 Y., Torch, Earth Core(Australia), TranceJapan.com, and ofcourse, with Aurora Substorm's special events and parties. Keep your antennas searching, as they will be crossing along many different events! 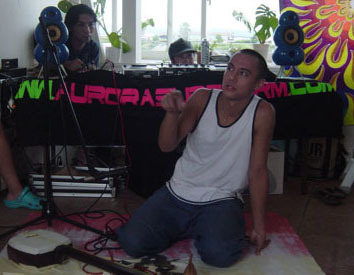 He began to DJ at club LASERBOY in 1994.After that he played at EQUINOX, VITAMIN Q, EARTHDANCE, KAGURA and at many events all over Japan. He also played at GREENANT in Australia. 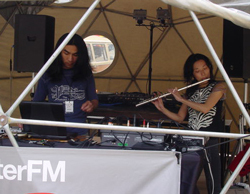 After that under the ASTEROIDNOS name he participated in the compilation album STRONG SUN AND MOON under the EQUINOX label. From 2001 under the name SOUP IN JOY he played live. 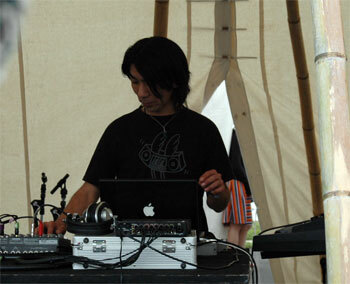 In 2002 he participated in the compilation album ZONAL REFLECTION under the label TOD AQUARIUM RECORDS, and in autumn 2002　played with DJ SHIORI and formed YAMATO. 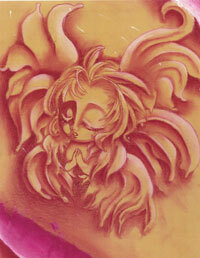 paintings, as well as crystal healing at Aurora Substorm's events. A vision from the universe reached her first during her highschool days. 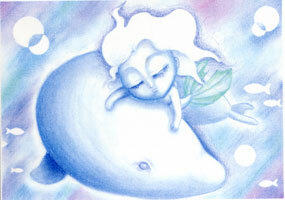 From a scribble on a picture book, she has now blossomed into an illustrator with a magical charm. drawn with colored pencils and a conte. Please experience a feeling that only you can experience.